What’s 9ft, is made of sisal and carpet, and gives your cats hours of good old fashion feline fun? A 9ft cat tree of course! If your household is one with multiple cats, then I’m sure you know just how much those cats love running around and climbing on things that maybe they shouldn’t be climbing on. Ahem, hello your prized antique armoire. Why not give your antique furniture a break and provide your energetic friends a place of their very own. A place where they can climb, scratch, sleep and play on. 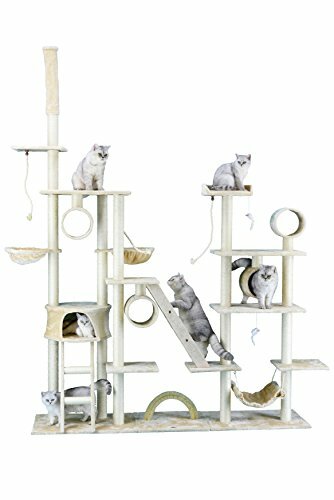 This 9ft tall cat gym is large enough to support a multitude of over anxious cats just raring to go and let out all that energy. 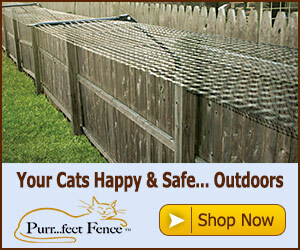 It’s got everything from swings, hammocks, condos to scratching posts and ropes to swat at. It’s definitely loaded with tons of fun cat goodies and best of all, it’s built to withstand whatever punishment your cats can throw it’s way.